Do You Own a Business? Does It Use Technology? Do You Have the Right Insurance Coverage Should Disaster Strike Your Computers or Your "Cloud"? Find Out If You Do In This Episode of the Podcast! Technology can be a great equalizer when it comes to allowing small businesses to compete with the large corporations. Cloud based products like Microsoft’s Office 365 and Google’s G-Suite offer complex technology infrastructure that delivers high level productivity without requiring an expensive IT department and support. More and more businesses are “going to the cloud” with their data and applications, making them more mobile and platform-independent. This can lead to greater vulnerability, though, as we hear all the time on the news about companies like Target and Equifax being breached. Even if you keep your data on local servers and don’t go to the cloud at all, you can be at risk. Being hacked could, quite literally, put you out of business and ruin your financial freedom. 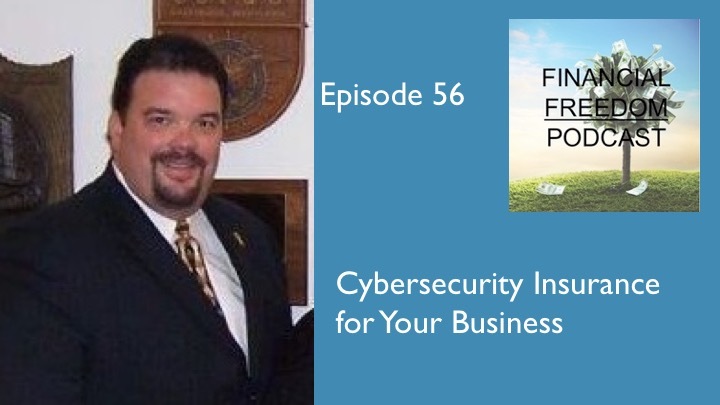 That is why in this episode of the podcast, I talk again with Dave Strout of Cettei & Connell here in Woodbury about what your current business liability coverage does, and does not, cover when it comes to cybersecurity, along with the type of policy you will need to cover you properly if disaster should strike.